Why would God become human? In our last study we looked at Jesus Christ being fully God. We concluded with a question - Why would Jesus be fully man and fully God and so what? Today we seek to engage with that question and briefly answer it. One of the church father’s, Anselm, wrote that God’s salvation plan for humans’ involved triumphant victory over sin, death and the grave. However no person could be found that was eligible or capable to do this. Because of this, God stepped into the human history, so that this victory could be achieved. This God-man would be fully human, so as to live every feature of humanity, including suffering and death. This God-man would also need to remain fully God, so as to defeat sin, death and the grave. Jesus, being sinless, was this God-man, consisting as he did of two complete natures, the God nature and the human nature. So what does all that mean! Firstly, it means that God himself has taken on the responsibility for our sins. Jesus on the cross bore our sins, though he was sinless, and became sin for us. By doing this, we are drawn to him in a personal way. God has shown that he loves us and wants us in a relationship with himself. Secondly, it means that God has bridged the gap between the supernatural and the natural, the infinite and the finite, to show us what He is like. Jesus as God in person gives us a focal point to respond to. God does not compel us to love Him, but invites all to a dynamic relationship with Him. Lastly, it means that God is one and therefore there could only be one incarnation. By doing away with the incarnation, how then could God’s salvation plan be fulfilled? Not at all! If Jesus was not God, then he would be part of the problem and therefore need to be redeemed himself! This is most certainly an untenable proposition. Yet our inquisitive human minds ask yet another question. How can somebody have both natures - deity and humanity? This was another question asked in the early church. One of the church fathers, Athanasius said “in the Incarnation there was no subtraction of deity but an addition of humanity”. By this he means that Jesus whilst being fully God, didn’t lose any of that divinity when he became human. Instead of losing anything, Jesus gained humanity. This divine and human nature unity is called ‘hypostatic union‘. Early church councils affirmed Jesus’ two natures as well as his personal unity. We have much to be thankful for the early church fathers. 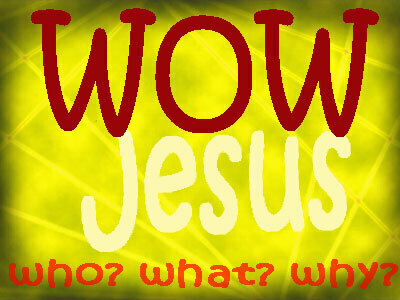 This is the final part of this particular segment of studies looking at the how, why and what of Jesus of Nazareth. It is our prayer that you have grown a little in your knowledge of God and that you are a little closer to Him. Come back to us soon where every day something new is uploaded to help you follow Jesus Christ. Thank you. Today we are looking at Jesus being fully God! You may remember that in our previous study, we looked at Jesus being fully human. This is also part of what we celebrate at Christmas. As Christians, we believe God inhabited a human body, thereby still being God, but also being fully human. Throughout the Bible, Jesus is acknowledged as God. The apostle John, as we discussed in a previous study in this series, expressly called Jesus, the Word or God. Later on in his life, John expressly stated that Jesus was “the true God and eternal life”. Jesus himself claimed equality with God and when He stated “your sins are forgiven”, some of the Jewish rulers attributed this as a “God alone” action and thereby accused Him, at least in their minds, of blasphemy against God! When He was on trial for blasphemy, during the questioning again Jesus equated himself with being God. That Jesus is both human and divine is what makes Christianity unique amongst the world’s religions. It is why Jesus’ claims to be the only way to God are true and make sense, and it is why millions of people today worship Him and acknowledge Him as their Lord and their God. Let’s now look at some of the claims in the Bible, revealing the deity of Jesus Christ! In these examples from the New Testament, the deity of Jesus Christ is revealed. Jesus is expressly called God - (John 1v1) The Word was God; (John 1v14) The Word became flesh; (John 1v18) The only begotten God; (John 20v28) My Lord and my God as declared by Thomas; (Titus 2v13) Our great God and Saviour, Jesus; (Romans 9v 5) Christ who is God overall; (Hebrews 1v About the Son, He says 'Your throne O God is forever and ever...’; (1 John 5v20) Jesus Christ. He is the true God and eternal life. The very works of God were ascribed to Him - (Col 1v16) Creation; (John 20v28; 5v23) Receives honour worship and glory belonging to God. Jesus- fully human and fully God. But a further question needs to be answered. Why would Jesus be fully man and fully God and so what?